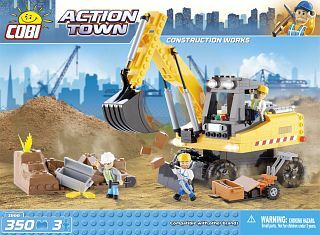 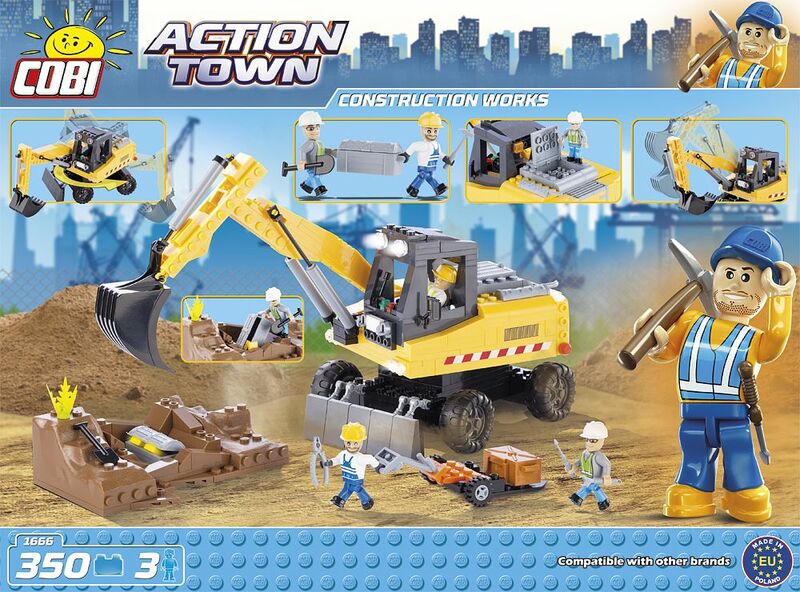 Construction block set contains 350 blocks, 3 figures and a slew of different accessories necessary to complete the job! There is a pickaxe, pallet truck, screwdriver and many others accessories. 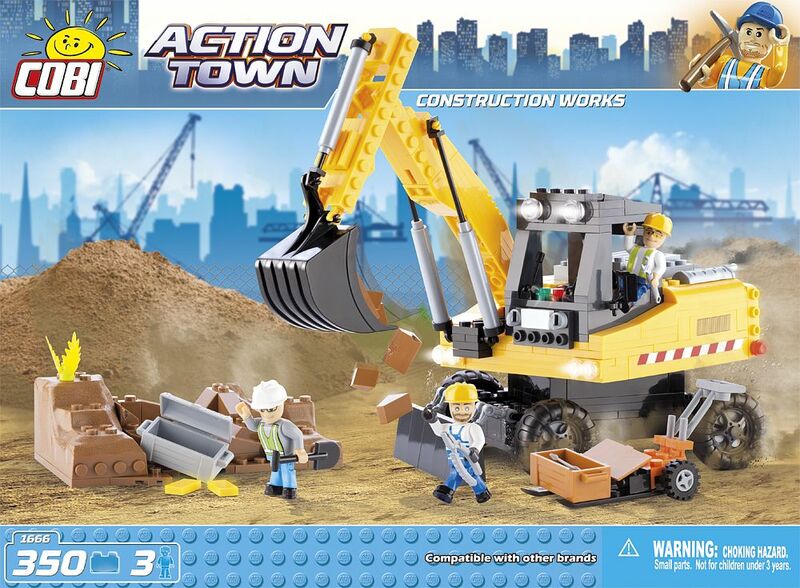 The digger has a rotating backhoe able to work even in the most extreme conditions.